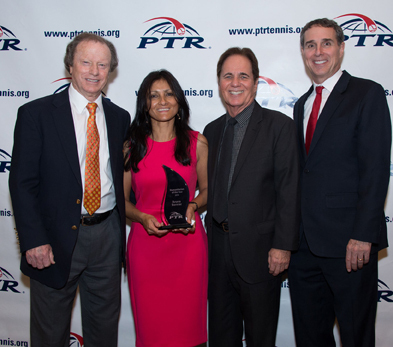 Aruna C. Bernier named 2016 PTR Humanitarian of the Year – ArunasNepalRelief, Inc.
Hilton Head Island, SC – – Professional Tennis Registry (PTR) presented its annual awards last night during the 2016 PTR International Tennis Symposium. The event, which includes more than 40 educational presentations for tennis teachers and coaches, will be held February 17-20 on Hilton Head Island, South Carolina. Aruna Chettri Bernier, of Austin, Texas, has been named PTR Humanitarian of the Year. A PTR Certified Professional, Bernier is the Director of TennisBuddys, LLC, a program she started in 2004, after becoming a mom. She puts all her boundless energy into helping grow the game by teaching tennis. 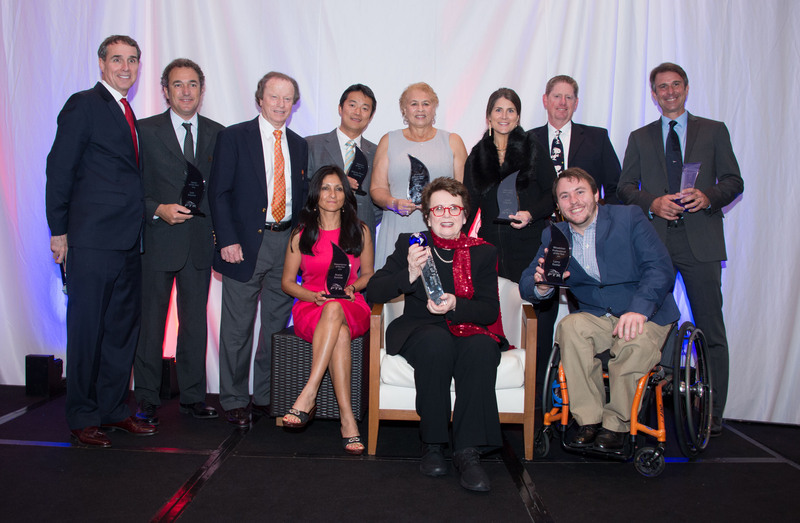 Thank you PTR and PTR foundation for this humbling experience and great honor. Thank you for your generous donation. Thank you Scott Harp for doubling the PTR donation amount after my speech. What you did was truly very touching and I will never forget! It was a very emotional night for me to see how people cared so much and were willing to give hope to the people of Nepal. Thank you for giving me this platform to create awareness about how much Nepal has suffered and continue to suffer due to the 2015 earthquakes, continuing aftershocks and the blockade crisis. You have re-energized me and recognized our work is not in vain! You also gave me an opportunity to meet so many amazing people, you made me feel at home and showed me that no matter what walk of life we are from, we are all a tennis family. Thank you to my PTR family, to each and everyone that made this moment happen, it was such an honor to be in the presence of such great minds and kind hearts! Thank you Billie Jean King for giving your heart to the Nepali people and thank you for your kind donation. To meet you and understand truly how kind, humble, giving, down to earth and a beautiful soul you are, was a special moment for me. Thank you James Loehr for your kind donation and for allowing me to continue! Very touched and very grateful by your generousity! We, at ArunasNepalRelief, Inc., are very very grateful for all your kindness and generous donations towards our cause to help Nepal. Thank you for giving us the opportunity to continue being of service to the people of Nepal! Thank you!